The Central Bank of Nigeria will be convening a Tweet-Meet on the economy on Thursday, May 25th, 2017 to engage opinion shapers and stakeholders on the economy in a live interactive session on Twitter. An hashtag is often used to thread a tweet-meet, and the tags #CBNSpeaks and #Rexit have been proposed. Recent data from the National Bureau of Statistics shows that the Nigerian economy saw negative growth in the first quarter of 2017, contrary to the CBN’s expectations. The NBS data seems to call into question the efficacy of the Bank’s policy interventions which accelerated ending February, and may be more in line with critics’ assertions. The planned engagement will provide an opportunity for the CBN to interact with Nigerians and indeed the global community directly, on issues related to the Bank’s policy response to the recession and the clear result of that response. Most narratives detailing how the economic recession that hit Nigeria since 2016 is waning do not highlight enough the Bank’s role in that achievement. With Nigeria’s economy taking a turn towards recovery, as confirmed by recent data, it is important to educate the public on some of the specific actions authorities have taken to grow the economy out of the recession. The CBN, through this event,therefore seeks to enlighten the public on the specific monetary policy actions it has taken to remedy the economic challenges. 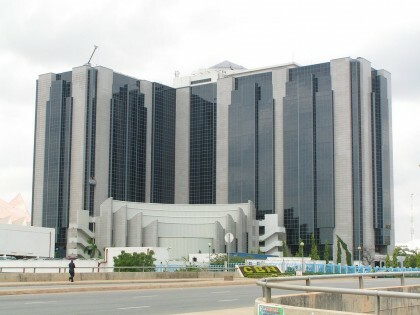 The recent gains in the forex market have been linked to the CBN’s sustained interventions, which the Acting Director of Corporate Communications at the Bank, Dr. Isaac Okoroafor has repeatedly assured the public will be sustained in line with the CBN’s monetary policy mandate. The Tweet-meet will give Nigerians the platform to hear directly from the Apex Bank and gain reliable insights into the health of the economy, the economic outlook going forward, and how they can position themselves and their businesses to benefit from government policies.